Woodie CCI is a momentum indicator which uses the Commodity Channel Index (CCI), to determine a change in momentum. 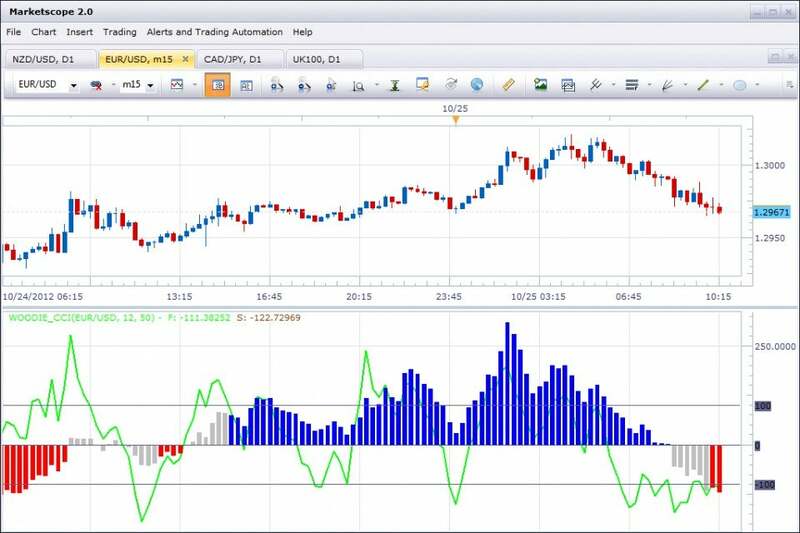 The indicator level increases or decreases in proportion to the current price moving in relation to the moving average. This indicator was originally developed on FXCodebase. Length of neutral zone in bars: The number of bars to color as neutral after the slow CCI crosses zero.